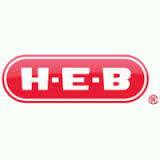 Here is your post with the full H-E-B Weekly Ad & Coupon Matchups for 10/10-10/16. Please note that prices may vary by store. Please check your store for exact pricing. We have listed a link to their coupon policy and a link where you can load digital coupons in advance of your next shopping trip.